It's one of those events. You'll always remember where you were when you heard that Steve Jobs passed away. I was at dinner with several visiting computer scientists, holdovers from the CCC council meeting earlier in the day. Our iPhones started buzzing and the news quickly spread. We gave a toast to the great Mr. Jobs. Steve Jobs put the algorithm in our pocket. Computation moved from big rooms to the desktop to something we carry with us every waking minute. Jobs make it happen not just for us tech heads but for everyone. Jobs did it without an algorithm that analyzes data to see what the public wants. Jobs realized it takes an inner vision, a true artist to make the power of computation something we all can use. So right. We miss him already. "You'll always remember where you were when you heard that Steve Jobs passed away." I like Jobs as much as the next person, but are you serious? So let's see...Pearl Harbor, moon landing, 9/11, and the death of Steve Jobs??! We will miss so much , Rest in peace steve. In my pocket's case it wasn't Steve Jobs that he put the algorithm in. Same is true for some hundreds of millions of pockets. It is too bad that the guy died. But the world is now overreacting bigtime. I don't own any Apple products sans an iPod Nano, but my Windows GUI and my Android smartphone were shaped by Steve Jobs. He didn't invent either, but he made them so people wanted them, and companies invested resources into making them. My HTC Evo wouldn't be here if not for the iPhone being there first. Does that make Steve Jobs a hero on par with, say, Alexander Flemming? No way, but within his category, "consumer electronics innovator", he was a giant. 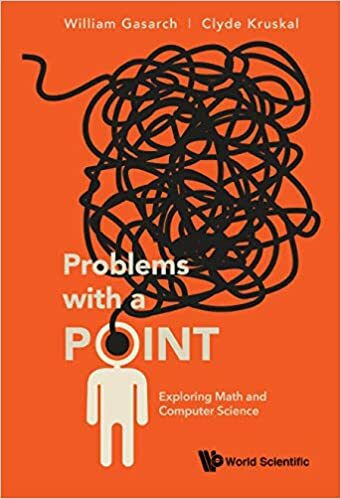 For me, Bill Thurston is a Steve Jobs of mathematics (one of them, anyway) … in the sense that Bill Thurston's essays on mathematical cognition and naturality are powerfully effective at bringing mathematics "to the rest of us" in the same wonderful way that Steve Jobs brought "computing to the rest of us."